Hello to all the creative people! Looking for ideas for your party or any kind of event? Luckily, you are on the right place as we have some magnificent ideas to show you. 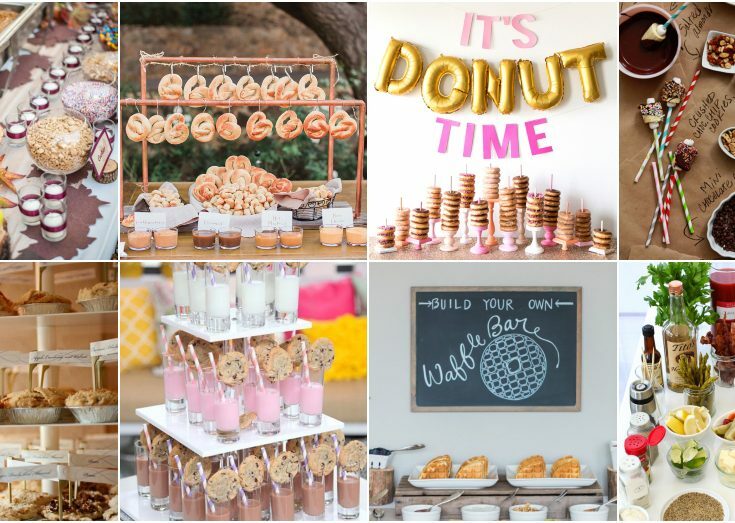 A DIY Food Bar sounds like the perfect thing for wishing your guests a warm welcome. It does not matter if it is an ordinary family gathering, a birthday, or even a wedding, tasty food is always welcomed. If you want something different rather than the ordinary buffet table, check these wonderful ideas! 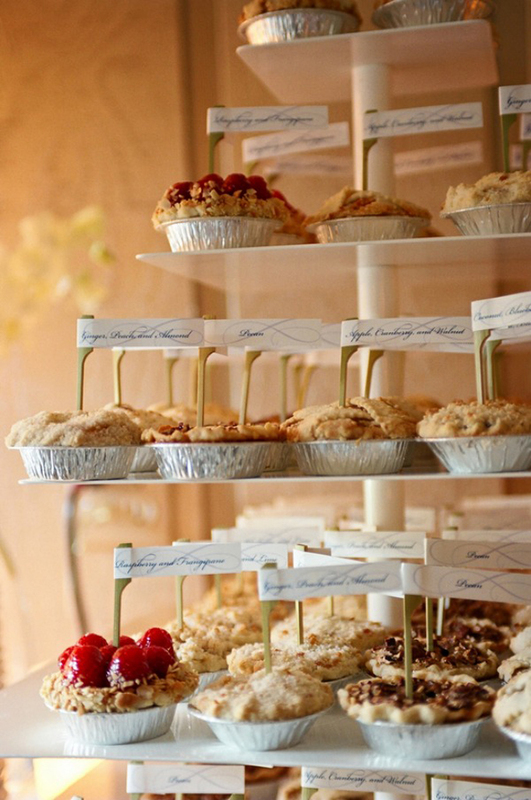 Mini apple pie bar will amaze your guests for sure. Nothing better than the smell of freshly homemade pies. Include different flavors that will satisfy everyone. 2. 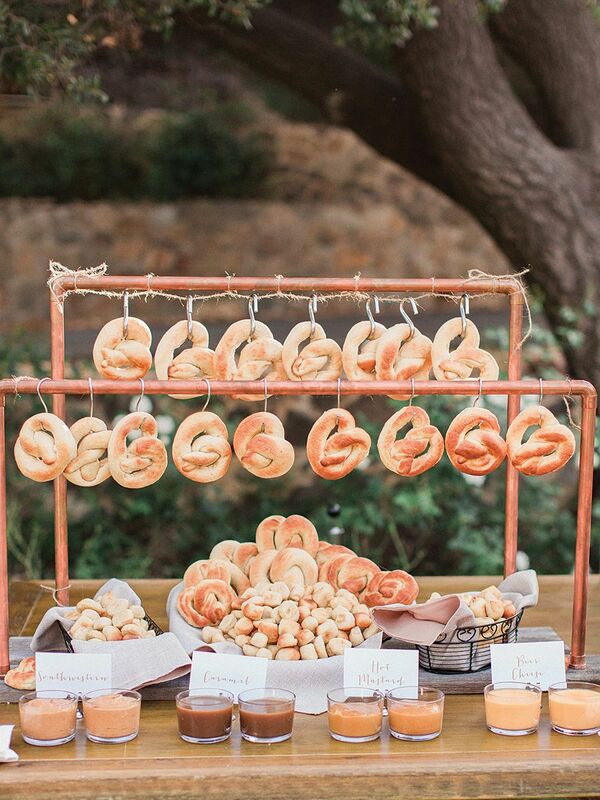 Pretzel bar is something that will have a nice presentation too. You can hang the pretzels, and include some tasty sauces. 3. Banana pops are a healthier alternative to sweets. 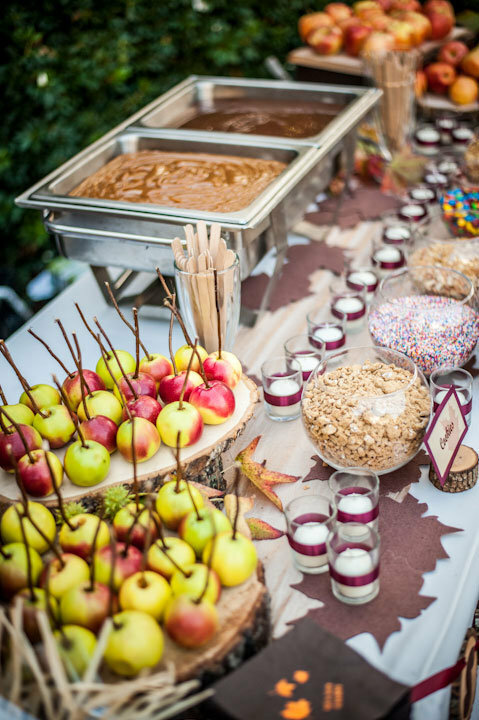 And this is an excellent choice for DIY Food Bar for kids. All you need are chopped bananas, and different toppings and garnishes. 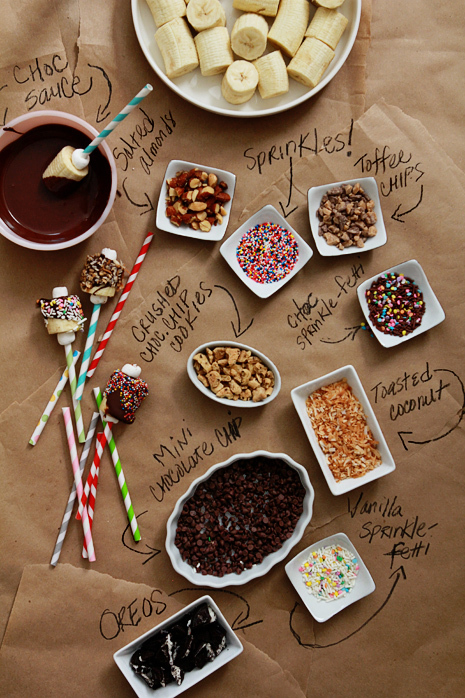 Include melted chocolate, sprinkles, nuts and biscuits. 4. 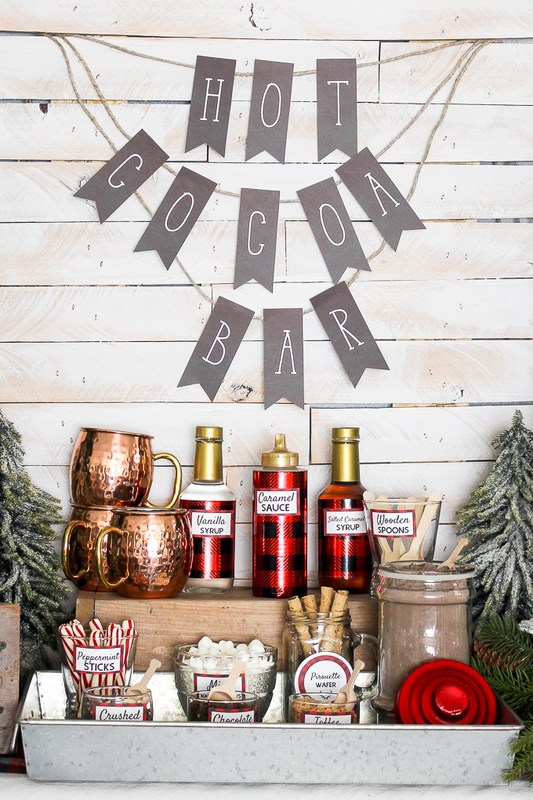 A hot cocoa bar is the perfect treat for cold weather. You would love to have one if your event happens in winter or fall. 5. 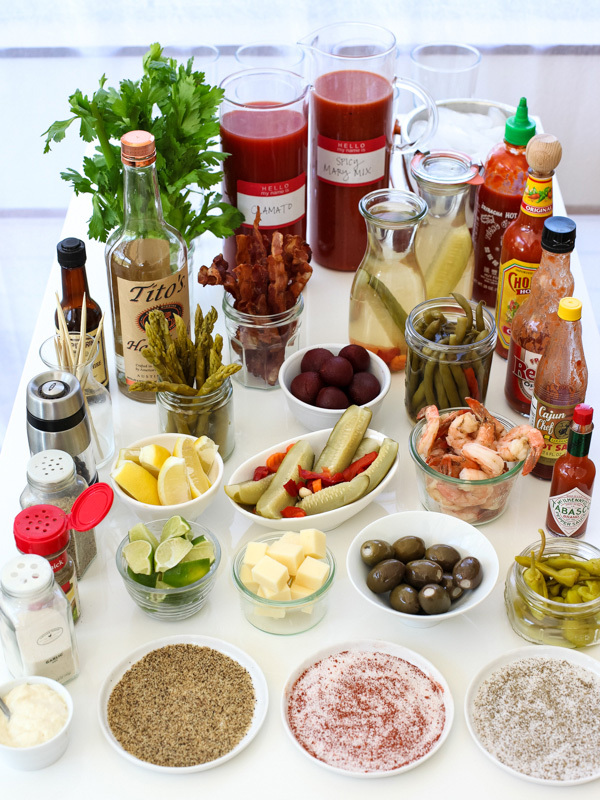 Bloody Marry bar is a great idea if you want something different. Include everything you need to prepare this famous drink, and some snacks as well. 6.Burger bar is a great thing for your summer outdoor entertainment. It brings the BBQ Sundays on a whole new level. 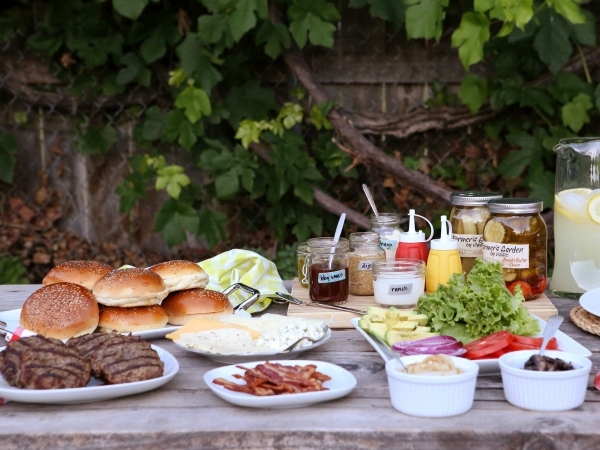 Bring all the ingredients for a burger and let your guests make their own one using the DIY Food Bar. 7. 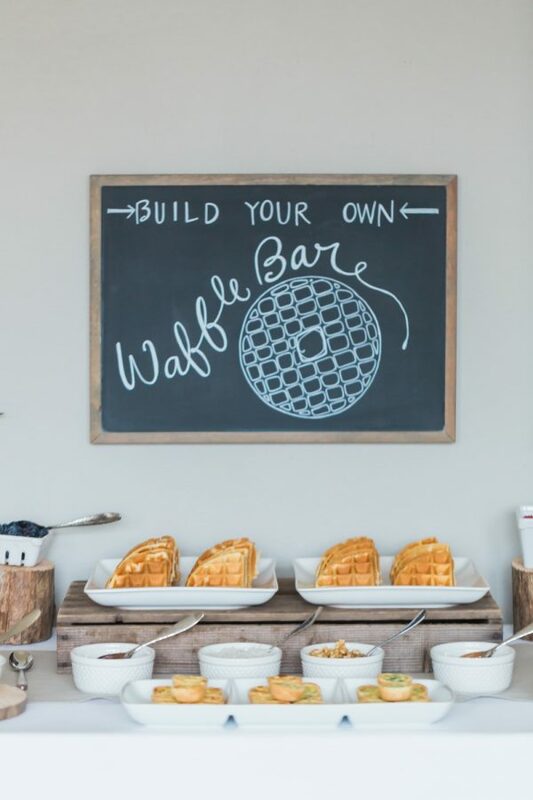 A DIY waffle bar is clearly something that you want to consider. Serve the waffles , and place small dishes with toppings, chopped fruits and chocolate yummies. 8. 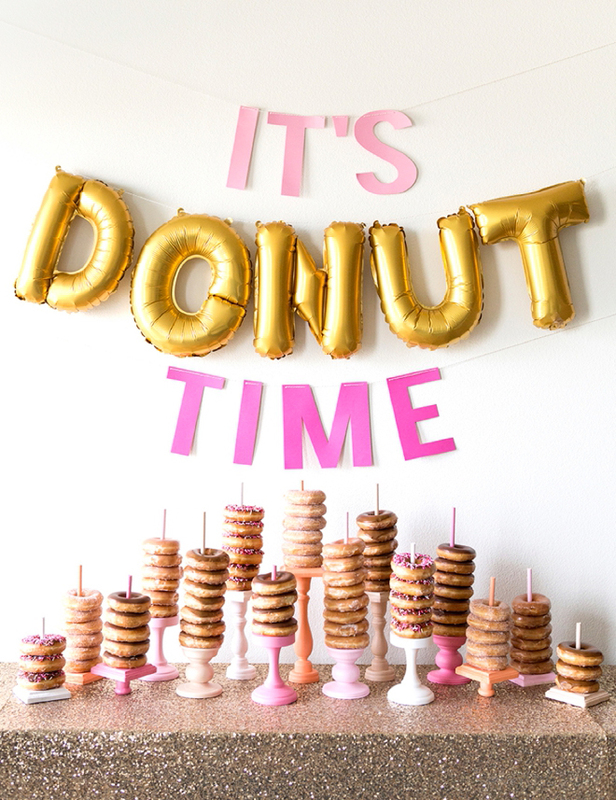 A donut bar will look impressive for sure. This presentation will leave everyone breathless. And it is the perfect one for a wedding. 9. Caramel apples are loved by both children and adults. The best thing here is that everyone can make theirs. 10. 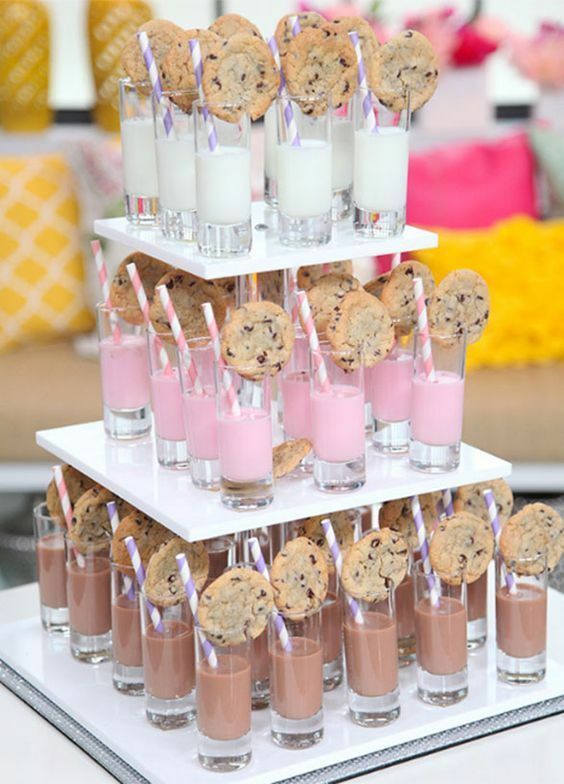 How about milk and cookie shots? This will bring your favorite pair from the childhood on a whole new level. You can even include flavored milk, such as vanilla,chocolate and strawberry.